A fully-loaded semi trailer truck can weigh 80,000 pounds, whereas the average passenger car weighs about 5,000 pounds. A collision between the two is like an NFL lineman tackling a toddler. When collisions occur, even the most careful motorist driving the safest vehicle suffer grievous injury. In Southern California, with one of the nation’s highest concentrations of trucking traffic, these unfortunate events are far too common. And too often these accidents result from carelessness on the part of the truck operator. The reality is that to truck operators, time is money. The faster the truck travels from one place to another, the more money its operator makes. This can lead truck operators to drive too fast for traffic conditions, to disobey traffic safety laws, to drive for longer periods of time than prudent, and to otherwise unnecessarily endanger the public. At Kiesel Law, LLP, we understand this reality. 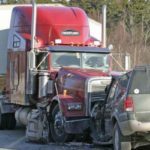 We are highly-experienced personal injury and wrongful death attorneys who have handled scores of truck accident cases. We know the range of issues affecting the trucking case is different than those affecting most other types of lawsuits. We understand that a thorough investigation, sophisticated analysis, and a commitment to excellence are essential to developing the strongest possible case. Complete knowledge of the unique laws that apply to trucking operations is critical, and we know the relevant law intimately. Specialized experts in accident reconstruction, biomechanics, human factors, truck performance and handling, inspection and maintenance requirements, operator training and certification, load distribution, hours-of-service laws, photometry, meteorology, toxicology, product liability, and a host of other fields, may be required in any given case – we know and work with only the best experts. We leave no stone unturned in prosecuting a trucking case. The lawyers of Kiesel Law, LLP, also recognize the human cost of serious personal injury and wrongful death. We pride ourselves on being available to our clients and their families to do whatever we can to assist in recovering from the emotional devastation of a severe truck accident. Our attorneys are committed to offering the personal attention our clients deserve. For further information, please contact us by phone at (310) 854-4444 or via our Contact Page.